Here is a helpful tip. 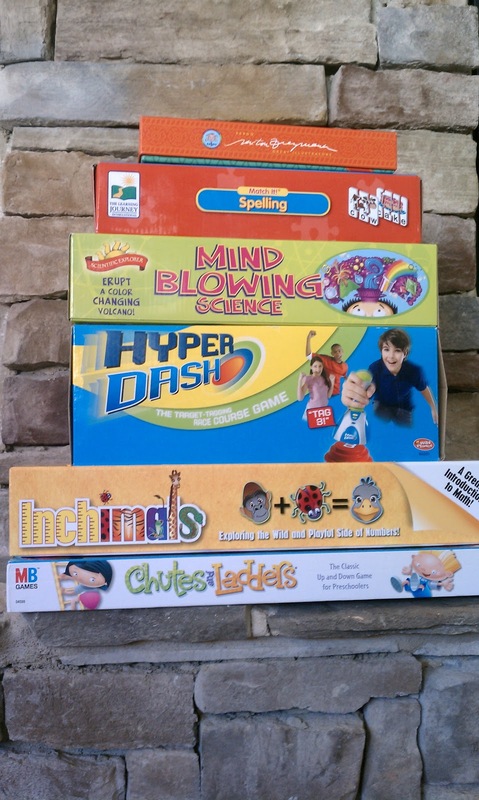 Stock up on lots of learning games they come in really handy in a pinch, and are a great way to test the skills out that you have been teaching your little ones. They come in very handy on days when you may not have a ton of time to sit down and focus on a "rigorous" lesson plan for the day, or if your schedule doesnt allow you a lot of time for planning for some reason or another. Instances that this has happened for me are around holiday times, doctor appts, and recently when I was potty training my middle child. While potty training, I needed to be connected at the hip and devote much attention to him during the three days of initial training, I would at many times have to drop what I was doing to rush him off to the potty, Ironically I just had to do this while writing this sentence :) That being said, I didnt have alot of planning time, nor time to devote to concentrated lessons. His training crossed over into two of our homeschool days. Heres how I utilized internet and learning games to my advantage. Day 1: No matter what, we always start the day with our Bible study. I utilize a great curriculum for their age that I ordered from http://www.biblestudyguide.com/ the curriculum is very affordable and the whole lesson is outlined for you in a really great way, you can choose your age group. My kids love it, and I love using it. Then I had Joshua just work on a few worksheets, then I utilized the web to practice the skills on the sheets. He spent 30 minutes doing math practice problems on http://www.ixl.com/ this is a great learning and practice site that allows anyone to have 20 free practice problems a day. If you subscribe, they will give you updates on your childs progress and give your child rewards to motivate them to keep practicing. Then he spent 30 minutes on http://www.starfall.com/ practicing his reading. This site is free as well, and does have additional resources available for subscription. The boys got a big bucket filled with wild animals for Christmas. I had each of them pick an animal that they wanted to learn about. Once they made their selections, we went to http://www.animalplanet.com/ to find out all about that animal. We noted all the general information about those animals, habitat, food, etc. and they had to utilize that information in imaginative play. I had joshua put together some drawings for each animal to illustrate what was learned. We will compile a book of these drawings to be used as a presentation at the end of the week. The rest of the time I let them use thier imagination to build using their Roylco straws and connectors http://www.fatbraintoys.com/ or http://www.strawsandconnectors.com/ which occupys them for hours. Day 2: This day was purely a game day. Dont feel guilty for these kinds of days, even public schools have "extracurricular" days where they take a break from thier regular standard classroom learning to engage in other activities. Sounds like a cop-out but I assure you it is far from it. With the right kind of games, you can get a glimpse into just how much your child is understanding what you are teaching them, if you pay close attention you can find out what you may need to concentrate a little harder on in your one on one time. Games are an excellent way to give them a chance to utilize what they are learning in a practical way. We started the day working on some mind blowing science experaments exloring acids and bases using our science for creative minds kit with everything you need to conduct multiple experiments the kids looooooove it, and there is enough supplies to conduct the experiments multiple times. Check out http://www.scientificexplorer.com/ or http://www.fatbraintoys.com/. We followed it up with a game of hyperdash, which I love!!! You can set it for any level and it calls out numbers, colors, mathematical equations, sequences, and you place these discs all over the table or all over the house, and you take the wand and find the colors that are called out. It can be simple enough for my 3 year old to understand, or complicated enough to challenge even my husband and I. Its great for color, number recognition as well as math practice for older kids and adults. visit http://www.fatbraintoys.com/ to view a video. After a little break and snack we played a game of chutes and ladders to work on our number recognition, counting, number sequencing, and of course learning to follow rules and instructions, wait your turn etc which is always good practice especially for my 3 yr old. Soon after we played spanish bingo http://www.eeboo.com/ or http://www.fatbraintoys.com/. After naptime we worked on our spelling with Match it puzzles from http://www.learningjourney.com/ I got mine at Ross for $4.99. Even my 3 year old can do it even though he doesnt read, he LOOOOVES puzzles but over time it will give him good letter recognition practice as he puts together pictures with the letters spelling what the picture is. We ended the day doing math problems with our Inchimals, using these brilliant wooden animal blocks to create math equations. The kids love the fun painted animal "rulers" which have inch marks painted on the sides and counting decimals on one end and numbers on the other end, marking how many inches each animal is...you can follow the equations in the book or create your own. Visit http://www.fatbraintoys.com/ for more inormation and a video on this creative resource. So my recommendation is that you try and stock up on these learning toys as you go, they are great in a pinch, as well as an actvity related alternative to television if you need a break in the day. I usually try and use at least one or two a day as part of my regular days plan, and have been known to pull them out if the boys start getting a little wiley and I want to get them to settle down. Ive attached the websites, though you can find many of these at discounted prices in stores like Ross, Marshalls, TJ MAXX, consignment stores, garage sales you name it. So keep your eye out and stock up when you get a chance. There is a world of fun just waiting to be had in those little brains, fill em up with things that help them grow, and not mindless activities. I love games too. Thanks for sharing some of your favorites. I volunteer in my boy/girl twins's class once a week. Their second grade teacher had me play a really fun dinosauor board game with place value to the hundreds place with a few students. I don't remember the name. Starfall is a fun site. I've collected a few free online reading games on my site. 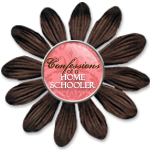 You'll find a page with the links at the top of my blog next to the home option. I agree, Marybeth. And Michelle. 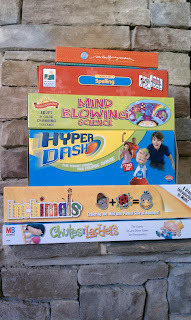 Games are a great way in to learning for kids. I truly believe if we enjoy and are engaged in learning, we want to continue with it. There are so many great free internet resources, aren't there? Have you looked at Poisson Rouge? My favourites are websites like that, that are interactive and encourage kids to create and explore.